If you want to travel around Iceland, but afraid that it would be hard or boring for small kids, don’t worry - the country is perfect for children and they will enjoy it as much as you, if not even more. 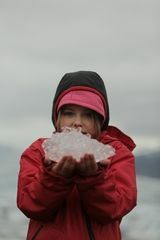 Iceland is a natural playground for children: hot springs, waterfalls, crater lakes, black sand beaches and volcanoes. Apart from stunning views, it can be also educational for kids to learn about geothermal pools or volcano eruptions. Country also offers myriad of activities that will be fun for people of all age: whale watching, horses riding, dogs sledding, hiking and camping in world’s most beautiful places or bathing in hot springs. 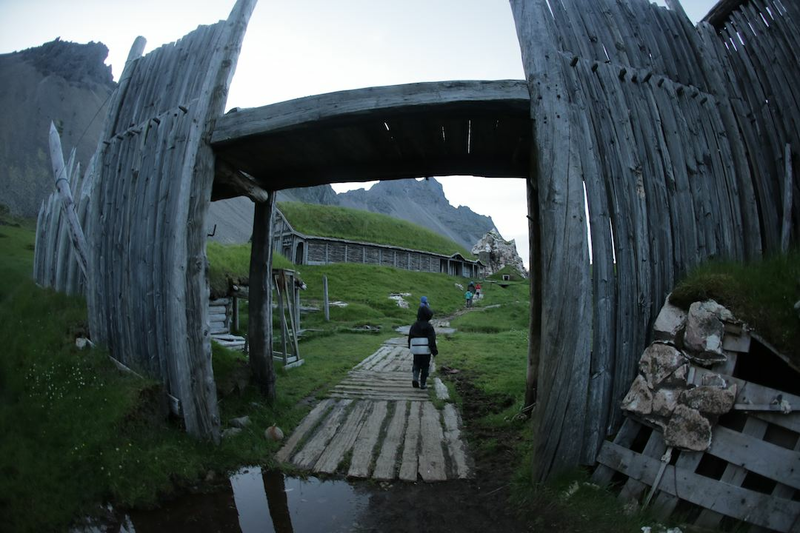 Don’t forget that Iceland is full of stories about trolls, elves, fairies or gnomes. These creatures are more than myths for local people, for example, tourists are highly discouraged from throwing stones, as you may accidentally hit huldufólk (hidden people in Icelandic folklore). Even for adults visiting Iceland is like entering a fairytale, imagine how interesting and exciting such trips can be for kids: seeing puffins and whales, swimming in hot springs during winter or just fantasising lives of elves and fairies, while travelling around the country. In case you are not convinced yet and hesitant if you should take kids to the trip to Iceland, here is a letter, written by two ten-year-old, who recently visited the country and planning to go again this summer. Hello! We are Sonya and Ilya. We are from Moscow. We are twins and we are ten years old. Last summer our family, our friends and we were in Iceland. We travelled there for two weeks long. It was wonderful time! Our parents took special car a motorhome. We could go in any direction. And we started travel and saw Iceland! This place is like a fairy tale. You can hide in the moss. And jump on the huge stones where the moss grows. You can have a shower under a big waterfall or play football with friends on the field next to the three waterfalls! Our main rule in Iceland – each day is different and every day is new! We saw glaciers and even could touch them with our own hands! We spent the night on the shore of Atlantic ocean. And play with the waves. Who is faster? Аt sunset we walked to the old lighthouse and saw how the sun sets behind the rocks! And we saw puffins on the rocks! This is the main bird in Iceland! Our dad Alex did a photo! One night we spent the night at a camping next to the museum. There were old wooden houses. These houses have a very interesting roof. It made of earth and grass. The next day we saw such a roof in a cafe and even in a gas station. We knew that in Iceland there are big volcanoes and geysers. But we did not know about fumaroles. It's like a little live volcanoes and geysers. They breathe the gas and the steam and smell of sulphur. But the most interesting in Iceland are whales! We bought tickets for the ship! We wanted to see these beautiful giants. We put on a special clothes and swam in the ocean. And all people were waiting for the whales. Suddenly the whale jumped out of the water! It swam next to our ship. The people screamed and started making photos. Our uniform was very wet, because the whale’s tail hit the water two times! After that the captain gave us hot chocolate and pastries. We were happy! And our mother, too!!! It was the most beautiful summer in our lives! Every night we slept and looked at the sky! Every day we could walk and feed kind horses. And now we know what is happiness! 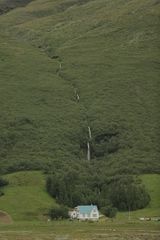 Happiness - is to live in a small house in the endless Icelandic valley!